Adding a touch of glamour to your garden couldn’t be easier when you use gravel, one of the most decorative and versatile materials. It is available in a palette of gorgeous colours from the Arctic white of Cotswold Buff to the deep plum of smooth river slates. Gravel can instantly transform your garden with simple but spectacular designs for very little cost. 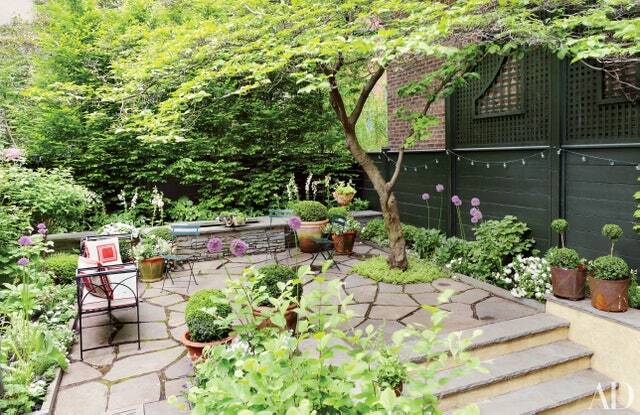 Small gardens in particular can benefit from the creative versatility of gravel. A small space needs to make the most of every inch by creating an interesting focal point. For instance, a small flower bed of colourful alpines will look at home in a carpet of rugged white pebbles. For an extra touch of glamour edge the white gravel with a border of Staffordshire Pink or golden Lancashire river gravel. Using several gravels together can create interesting effects. Draw the outline of a circle that measures no more than three metres so that it cuts across a path. Fill the pathway with the varied rugged textures of golden brown Trent river gravel then place slates of different colours in the remaining sections of the circle. Transform a dull, neglected corner into a bright stylish feature inspired by the Buddhist Zen garden. A state of inner tranquillity can be achieved as you carefully rake the gravel into circles or waves. Use Cotswold Buff to accentuate the shadows and shapes or Staffordshire Pink for a contemporary look. For intricate patterns use a Lancashire pea gravel with pebbles of around 1cm in size. Add a mini pond with a Zen inspired path flowing round it. Make a natural statue from a few large cobbles piled in a heap. Gravel is such a versatile material it can easily be used to create paths with far more twists and turns than when using slabs or even concrete. Crushed gravel is ideal for pathways as the rugged sharp texture helps it to stay in place even on gentle slopes. For a slightly steeper slope, create long shallow steps. Edge them with wooden battens then fill with your favourite gravel. Plant silver leaved foliage plants to soften the edges. Create a pathway with ultimate styling by edging both sides with brick pavers in a rich russet tone and place a series of flat stepping stones along the length then fill with a decorative gravel in a contrasting colour. For a glamorous twist around the edges of a patio, fill a narrow border with bright Cotswold Buff and install a row of solar lights to cast a gentle glow at night. Larger slabbed patios can be highlighted by removing randomly selected slabs, then plant aromatic herbs such as thyme or marjoram and apply a mulch of gravel using it to fill the remaining spaces. For even more imaginative ideas on how to use gravel, contact Greenvale and they’ll soon help you to add a touch of glamour to your garden.